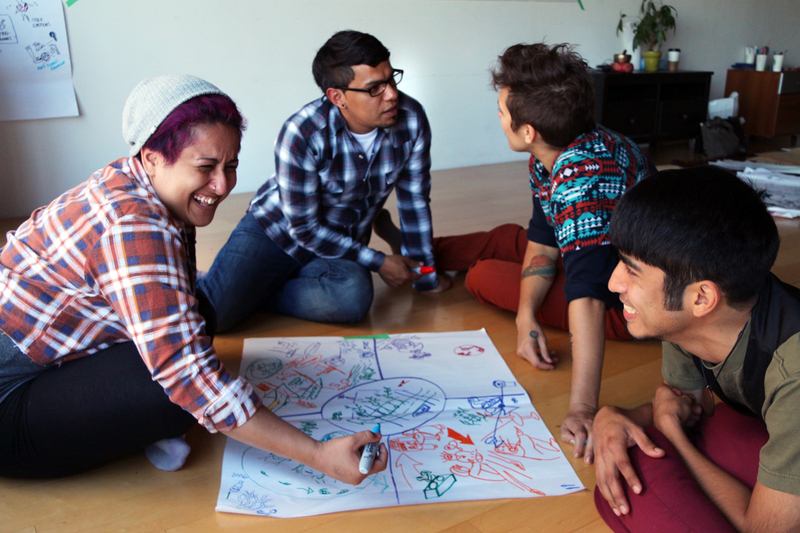 SKETCH is a Toronto based community arts initiative that was founded in 1996. It creates equal opportunities for young people between the ages of 16 to 29 living homeless and marginalized to experience the power of the arts. I met a representative from SKETCH at Literature for Life’s Read & Believe fundraiser a few weeks ago where I learned about their programs and new 7,500 square-foot Creative-Enterprise Hub located in Artscape Youngplace on Shaw St in Toronto. 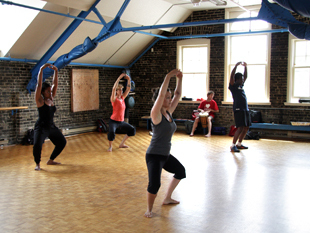 Conceived by artist Phyllis Novak, SKETCH’s artistic director, and a group young artists living on the margins, the organization was created to be a safe space for artists to develop leadership skills and self-sufficiency, while cultivating social and environmental change through the arts. SKETCH provides a studio dedicated to specific art disciplines, like visual arts, crafts, ceramics, textiles, music, recording, creative writing, woodworking, sculpting, digital media, dance and theatre. 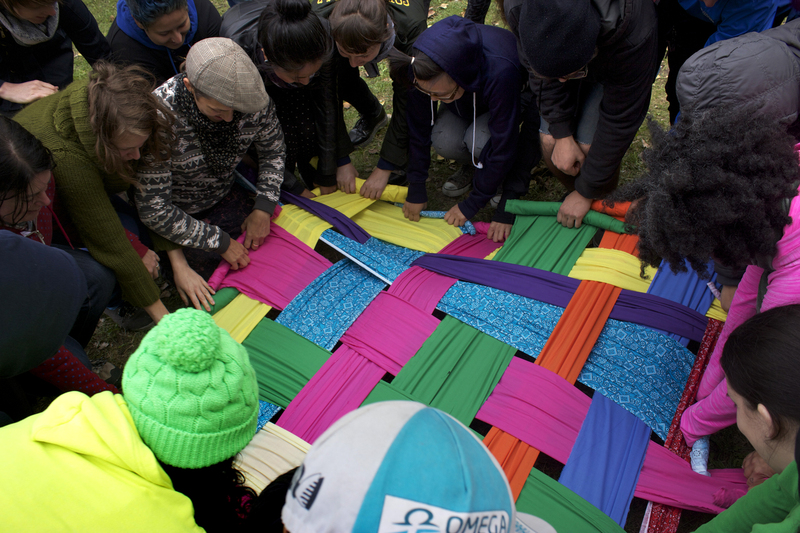 “We see a movement where young people, free from barriers, are celebrated and engaged as culture makers, perception changers and collaborators in building creative community,” Novak says. The arts offer a voice to those who need one. Young people living homeless or on the margins seek alternatives to the traditional forms of education and therapy. SKETCH allows them to elevate their sense of self while reducing isolation and strengthening their leadership and sufficiency. 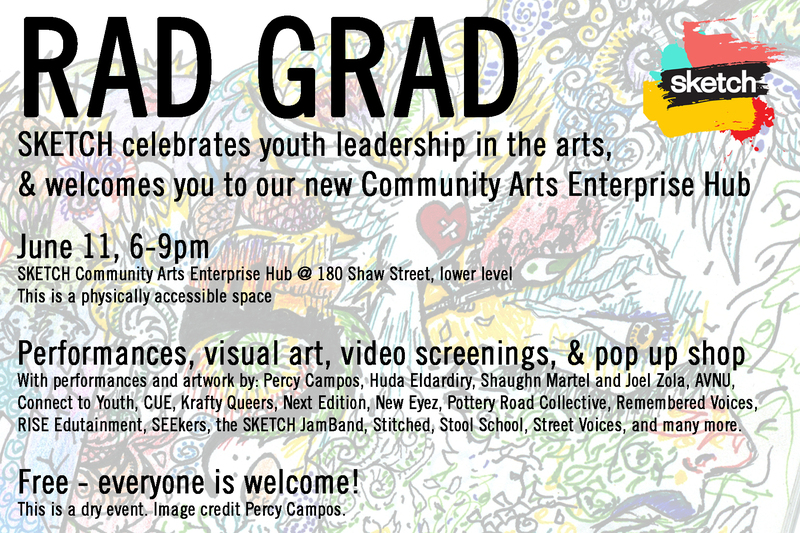 This Wednesday June 11, SKETCH is hosting an event called RAD GRAD, a celebration of youth leadership in the arts. Free and open to the public, this event showcases not only the graduation and gallery of their Community Artist (CA) training program, but also what organizers call some of the hottest community initiatives in Toronto. 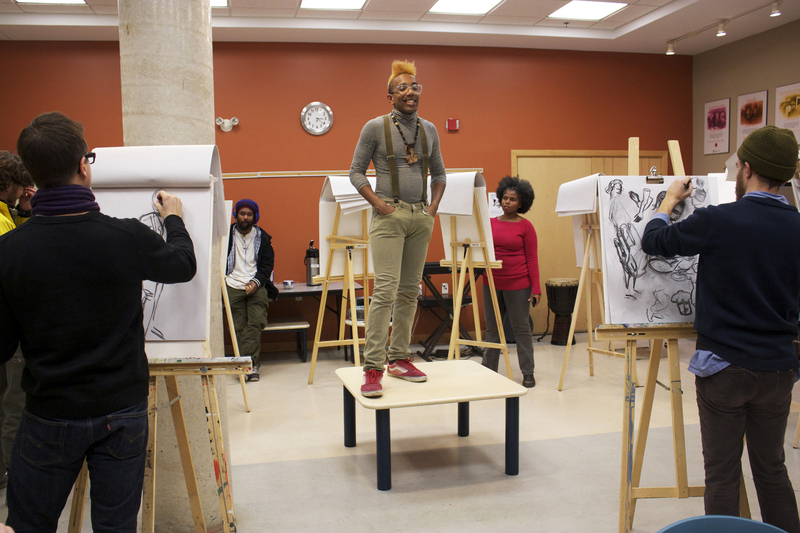 RAD GRAD features the unbelievable talents of CAs Percy Campos, Huda Eldardiry, Shaughn Martel and Joel Zola as they present their artwork to their fellow participants and the community. Join the artists and the organizers at the SKETCH Creative Enterprise Hub, located at 180 Shaw St in Toronto, to celebrate young artists and their successes. For more information about their programs and events, check out SKETCH’s website here.